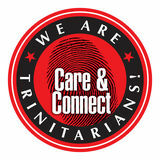 Blessed to be On September 10, Care Community Services Society (CCSS), the social services arm of Trinity Christian Centre, had another food rations distribution exercise. This was made possible through the generous sponsorship of Dairy Farm Singapore. The event not only blessed the needy but also the volunteering hearts. 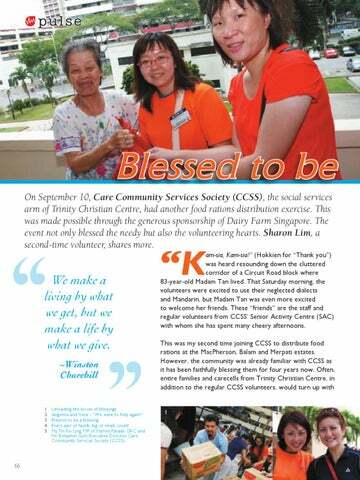 Sharon Lim, a second-time volunteer, shares more.